Ever Thought of Juice Fasting? | Now is the time! Ever Thought of Juice Fasting? Now is the Best Time! In a recent documentary produced by the website, The Truth About Cancer, Dr. Joseph Mercola stated that one of the keys to vibrant health is intermittent fasting. Juice fasts were an integral part of what I used to heal and regenerate my body over three decades ago. At Hippocrates Health Institute, where I received my Health Educator’s Certificate, on Wednesdays, everyone consumes only vegetable juice. Dr. Brian Clement, HHI’s director, reminds us when we juice fast weekly, we are fasting a total of 52 days a year–a boon for weight loss, gut health, and mental/emotional stress release. I chose to integrate fasting one day a week into the 21-Day Cleanse in It Takes Guts To Be Happy! and my Happy-Gut Makeover Course, so that everyone can learn how easy it is to juice fast, and especially, how great it feels. Juice Fasting is Easier Than You Think! From the first week at HHI, I loved the feeling I had on fasting days–the lightness in my body and the lift in my moods. Due to years of bleeding ulcers and colitis, I often endured stomach aches, pain, and bloating when I ate–no matter how healthy my choices were. I am sure some of you know what I’m talking about! Fasting allowed my gut to heal, and energized my body to purge the toxins stored in my vital organs. As I gained strength and stamina, I began experimenting with longer juice fasts, up to 30 days. At the end of those experiences, I felt like I had been given a whole new body and brain. Except for the years I was pregnant or breast-feeding, juice fasts have been a bedrock of my personal wellness regime. 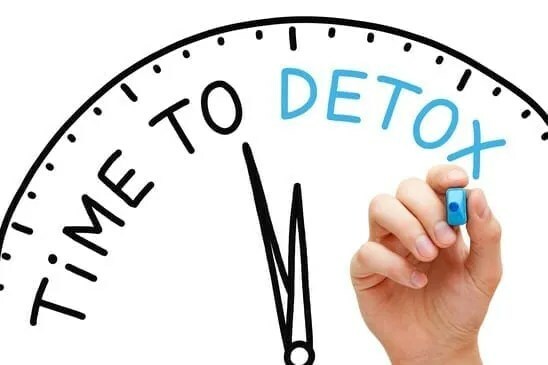 I always include an enema or colonic on juice fasting days to support my body’s detoxification. This completely clears any detox reactions such as a headache. There’s no need to feel crummy while fasting, not for a minute! Fasting Turns Back the Clock! One of the delights of my private practice has been to introduce the joys of juice fasting to my clients. Coaching folks from 18 to 81 through their first juice fast has taught me so much about this often-neglected tool for radical health. The body loves a break from solid food. I have rarely known a client to juice fast who doesn’t experience a huge surge in their wellness, vitality, and skin renewal. Occasionally, I witnessed a miraculous healing–the kind we think only happens in movies or books, where years of symptoms disappear in two weeks. I have seen clients shed depression, confusion, and “stuckness” as if they were a coat that didn’t belong to them anymore. They stepped out of it, and were free to be themselves in a way whole new way. If you have never given yourself the gift of juice fasting, consider taking this leap. If you are busy working, and can not support a weak or “spacey” moment, the trick for success — especially if you’re new to fasting — is to include protein smoothies on your juice fasting days. I call this Fasting Lite. It’s not a traditional fast, but a liquid diet of totally assimilable food–called smoothies. I suggest fasting Lite, if you want to try a juice fast, but are nervous about your blood sugar levels. It is also excellent for those with schedules that do not allow them to rest or slow down, which I encourage people to do on fasting days. For your smoothie, use a sugar-free and dairy-free protein powder, and mix it with water, almond or rice milk. Keep it simple. And On The Seventh Day … We Fast! Have you always wanted to try a juice fast? 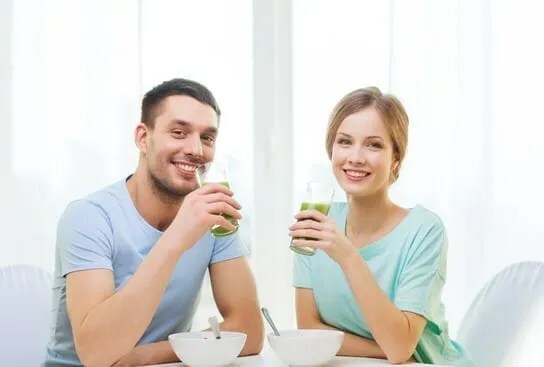 Register here for my Mini Happy-Gut Makeover and let me coach you through a week of clean diet, with the seventh day dedicated to a vegetable juice fast. We meet three times during week on the phone and you will enjoy daily access to my private group Facebook page. You are welcome to sign up for a colonic or lymphatic drainage session to super-charge your energy and boost your results. Before the holidays, do something wonderful for a special person in your life — you!